Don't get me wrong. I love pumpkin puree in any form I can get it any time I can get it, including the canned stuff. However, American supermarkets have it all wrong. Those aluminum pyramids of mashed orange pulp should be displayed in March, not November. Why, at the height of harvest, would I eat last year’s (at best) pumpkin packed into a can when I can eat this week’s pumpkin fresh from the oven? Furthermore, what else are we going to do with the pumpkins we bought at Halloween and had every intention of turning into jack-o-lanterns? This works for those actually turned into jack-o-lanterns, but please don't smash your beautiful untouched mounds of flavor that could be transformed into good eats. 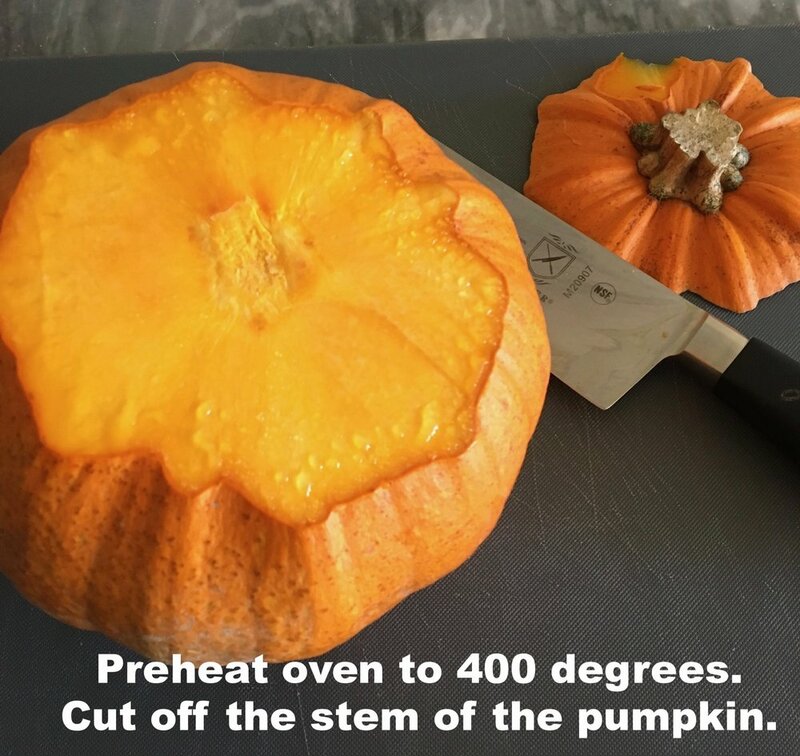 Note: This method works for all types of pumpkin and squash. I find sugar or pie pumpkins are as their names suggest and work best for breads and pies, but try other squashes, such as kabocha, acorn, buttercup, butternut, and delicata for all of these recipe suggestions. For baked goods, I recommend putting the scooped and mashed pumpkin flesh in a food processor and pureeing until smooth, but you can also add the cooked mash to most dishes without processing. You can freeze any unused portion. Now, what to do with all that pumpkin puree? The possibilities are endless. But for now, here are 13 ideas and one fabulous recipe for Vegan Pumpkin Flax Bread. It is my every intention to gradually fill in the remainder of these pumpkin recipes over the life of this blog, as well as add another 13 uses for fresh pumpkin puree.